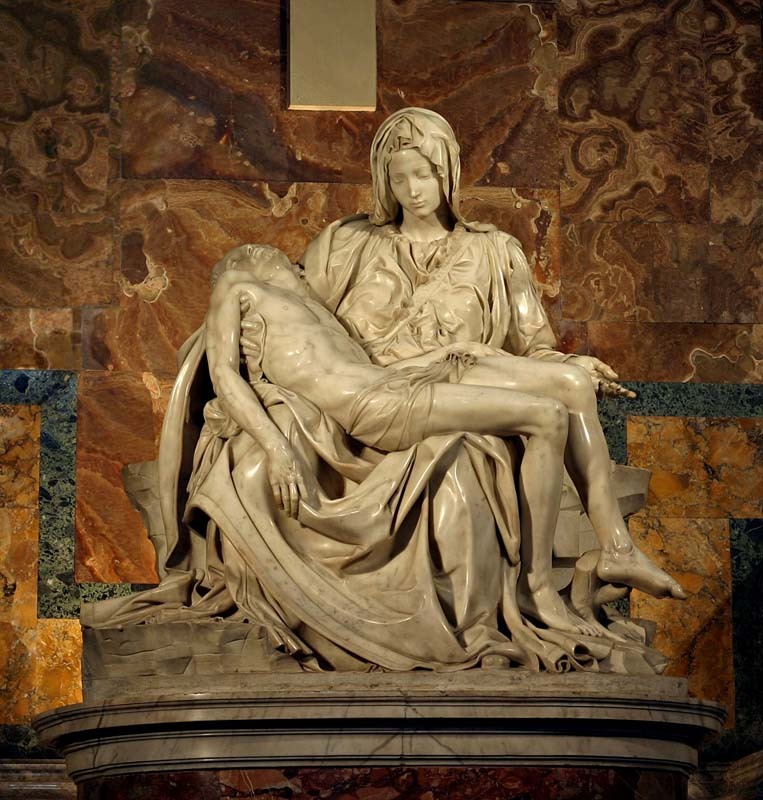 Roettgen Pieta, Germany, c. 1300 - 1325. 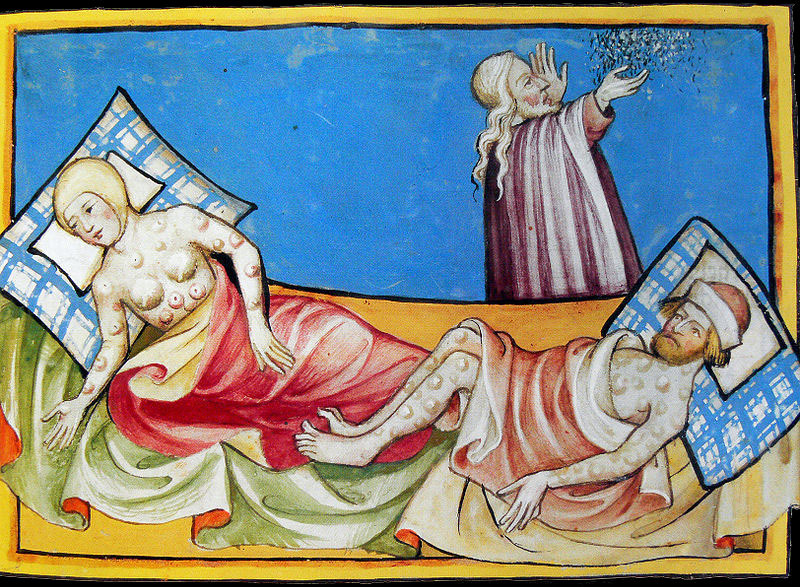 The Black Death (Bubonic Plague) began in 1346, and quickly spread throughout Europe until 1353. 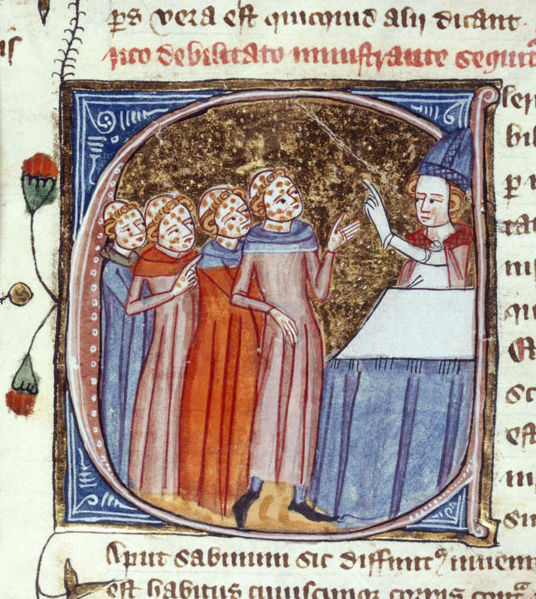 It is estimated that 30 to 60% of Europe's population was killed by the plague. 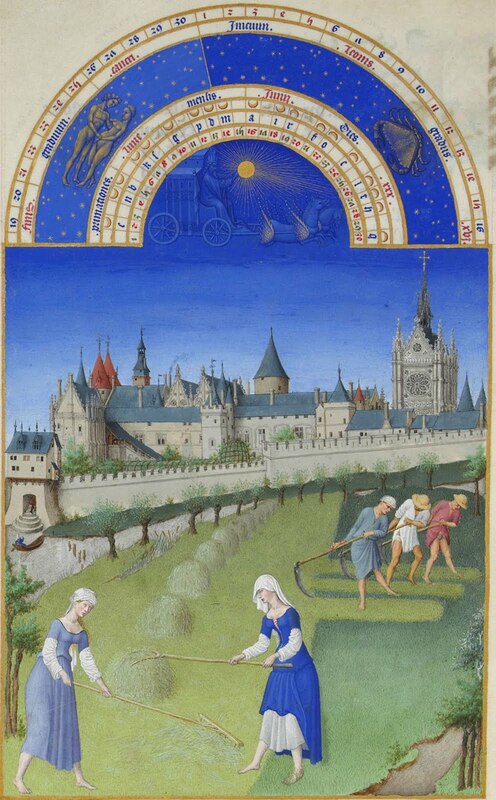 Paul, Herman and Jean Limbourg, Page with February and June from Tres Riches Heures, 1413 - 1416. 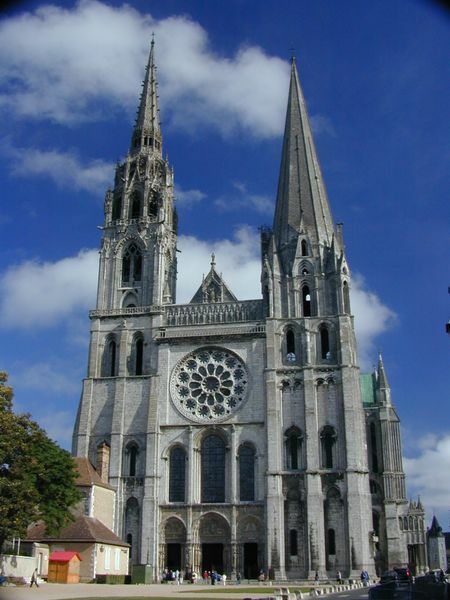 Western and southern façades of Chartres Cathedral, France, c. 1145 - 1155. 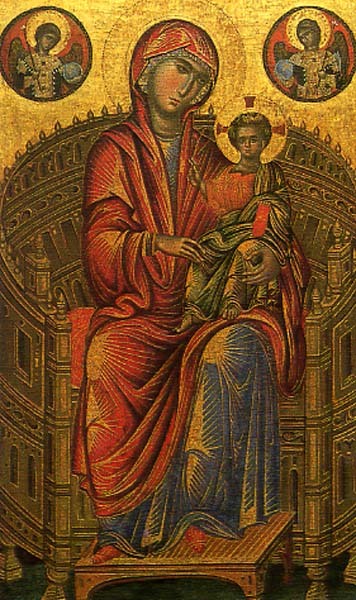 Madonna Enthroned, late 13th century. Tempera on panel. 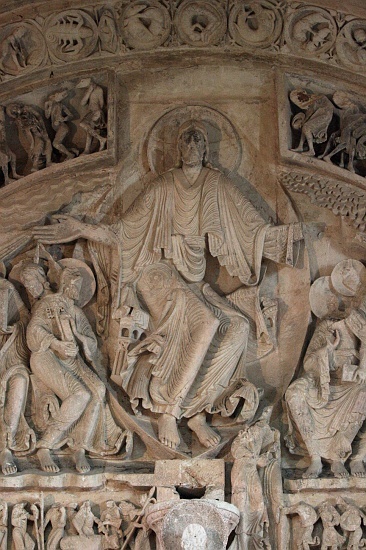 Detail of Christ of the Pentacost. 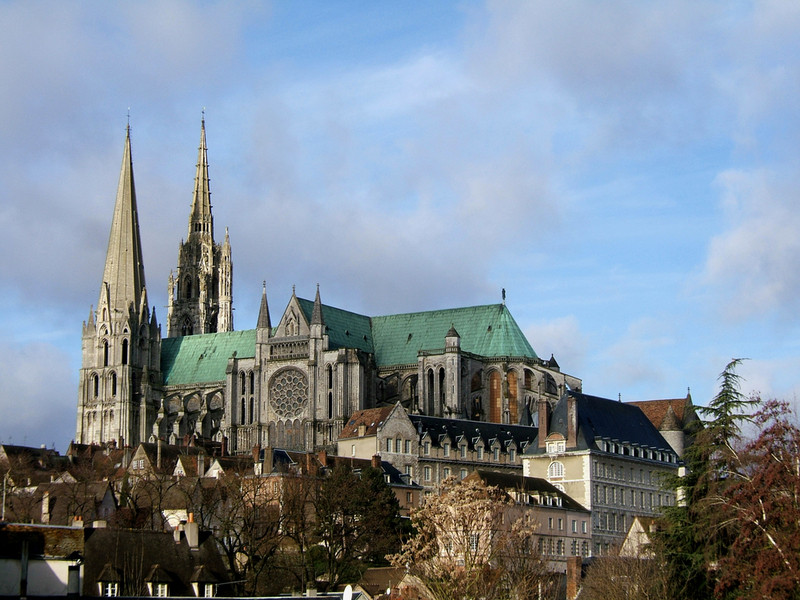 Saint Madeleine Cathedral, France. 1125 - 1150. 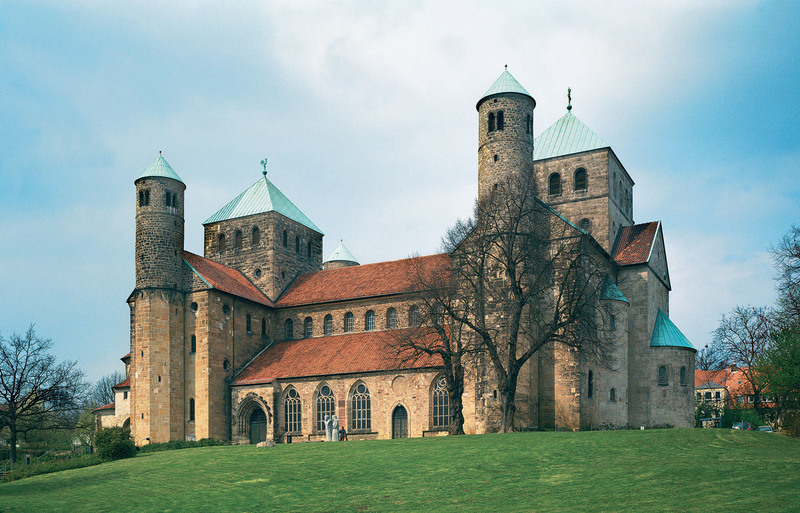 Saint Michael's, Hildesheim, Germany, 1001 - 1031. Doors with relief panels commissioned by Bishop Bernward for Saint Michael's of Hildesheim, Germany, 1015. Bronze, height approx. 16'. 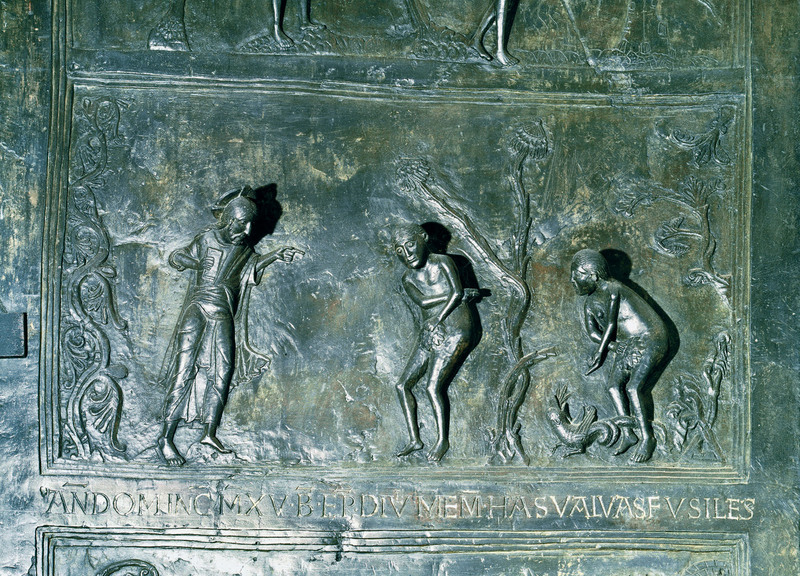 God Accusing Adam & Eve, detail of the left door of Saint Michael's Cathedral, Hildesheim, Germay. Bronze, approx. 23" X 43". 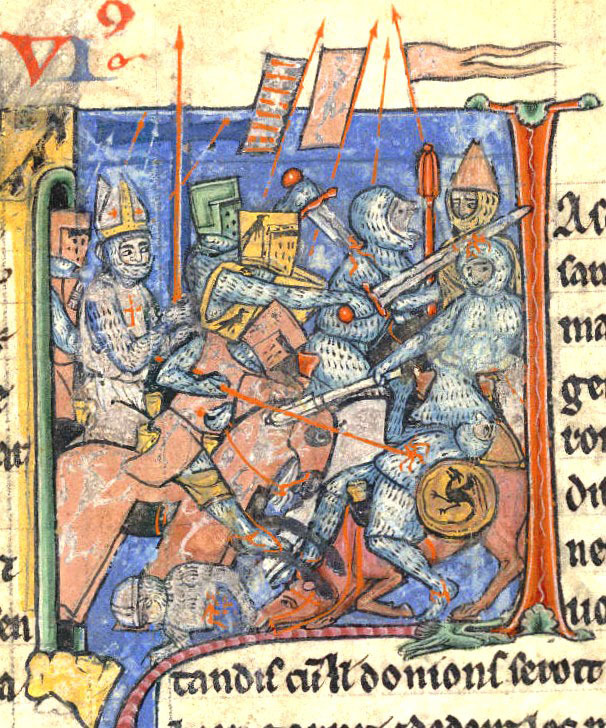 the Doors of Bishop Bernward, 1015. (details of the Ghent Altarpiece), 1432.